For small companies, managing social media, such as Facebook, LinkedIn and Twitter, can be so time-consuming that it gets in the way of closing business deals and running daily operations — but smart use of these networks really can pay off. How? Think boosts in customer satisfaction that retain clients and attract new ones. Last year, researchers at National Cheng Kung University in Taiwan found a strong association between the frequency of companies’ use of social media and their customers’ satisfaction. Firms that regularly used social media for Customer Relationship Management — engaging directly with individual clients to address specific questions and concerns — reported increases of nearly 16 percent in customer satisfaction. Don’t wing this. Take the time to strategize. Your business should have a specific, goal-oriented, measurable and long-term plan to grow your communications and their positive impact. Not sure how to develop a smart plan? Well, Media Salad could certainly help with that. Know your current and prospective customers. Of course it’s important to stay connected on the more popular publishing platforms, but knowing where your customers are hanging out online will help you save time and money. Choose to invest your time on those platforms, and study their unique cultures of interaction to inform your messaging. A simple way to find where your customers interact is simply to ask them. Consider adding spaces on your website for your customers to leave their social media handles. Linking your social media accounts to the emails you send regularly is another way to generate more interactions on social media. 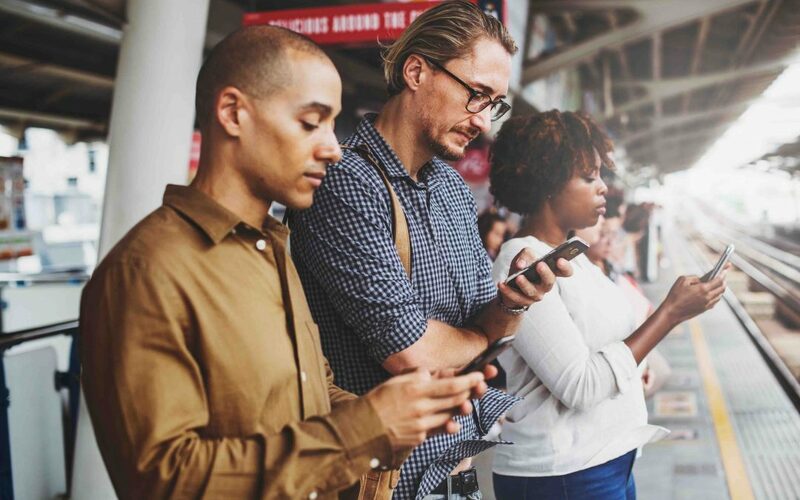 A handy and helpful resource to help you learn more quickly is this Pew Research Center study that provides a good look at who is where in the social media world. Focus initially on just one or two main goals. Yes, you want more sales. Yes, you want more awareness about your products and services. Yes, you want to hire more talented people. And yes, you want more customers singing your business’ praises online. However, these are unique business needs, and accomplishing them will require different messages and different ways of thinking about when and where to use social media. We at Media Salad frequently see companies make the mistake of trying to tackle too much — and doing nothing very well. Be realistic about what it takes to produce your messaging — and the costs of distributing it. Do you want to produce video messaging? Do you want to use photography or infographics? Do you want to market your goods and services by sharing a blog post or an in-depth white paper? Do you want to engage customers weekly, daily or field their questions and comments around the clock? All of these things are awesome — but how much time does anyone at your company have to produce this information? Do they have the required skills? What about budget? You get the point — so pay close attention to “risk v. reward.” In other words, know what executing your plan is going to cost, and seek the best balance between affordability and maximum impact. Measure your impact, and adjust to build on successes. It’s easy to run out of steam before reaching this mission-critical part of any communications strategy — but it’s also folly to do so. After all, this is the point at which you’ve likely received feedback from customers! You can see what they viewed, how much time they spent on your website and what they clicked on or did in response to your calls to action. You also can see what didn’t garner as much, if any, attention. It’s important to make time for this analysis — which is a task in itself, especially when done well. The great thing about digital communications: They can be easily adjusted to capitalize on successes — but you have to measure your impact to know where your successes are. Know what time zone your specific audience is in. The Eastern and Central time zones combine to make up 80 percent of the United States’ population. Researching where your target audience is geographically can be one of the simplest and most effective ways to reach them. Some networks, such Facebook and Twitter, provide their own analytics so you can see for yourself when your followers are viewing your posts. It’s generally a good idea to post during leisure hours, rather than during the workday. This is especially true for Instagram and Facebook. However, when it comes to posting during the business day, it’s often smart to post around the noontime hour when workers are on break and the two hours just before they’re planning to leave for the day — and likely are checking weather, traffic and information about evening events. Denver-based Media Salad will show you how to work smarter, not harder, on social media to help you raise awareness, build business and maintain important business relationships. We invite you to contact us.